Leverage – Connect 3 Balance Battle creates an incredibly immersive story with gorgeous components to satisfy your gaming needs. It would take approximately 34,506,455 years to play through every single iPhone game on the App Store. Well, OK, we might have made that number up, but surely, we cannot be too far off. The App Store is crammed with gaming goodies to keep thumbs busy, but not all iPhone games are born equal - which is why we have done the difficult job of playing through as many games as humanly possible in order to tell you, which are best. After many trials and tribulations, we arrived with a game, Leverage – Connect 3 Balance Battle you are about to dive into. What is Leverage – Connect 3 Balance Battle? 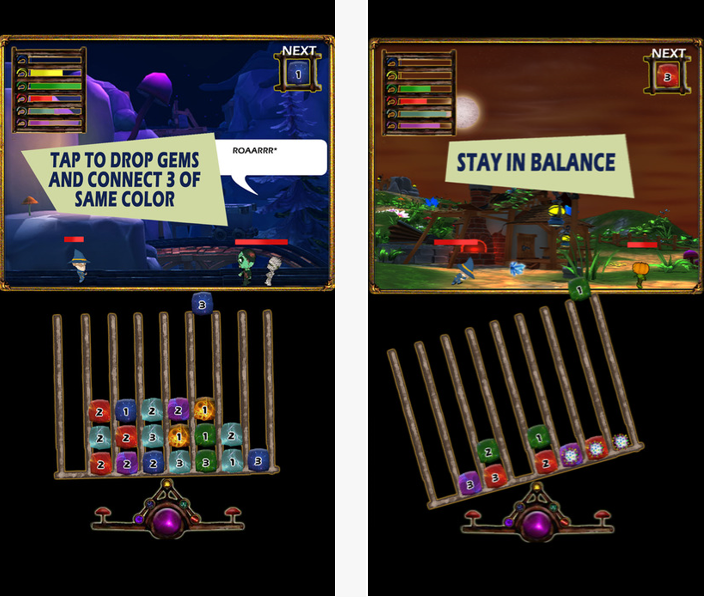 Leverage– Connect 3 Balance Battle is a delightfully colorful game with precise controls that give it the feel of a true action based puzzler. The game is all about balancing the scale with the help of balancing the weights present on the scale. You can also match 3 of the same color weights, as they will help you in some conditions in the game. 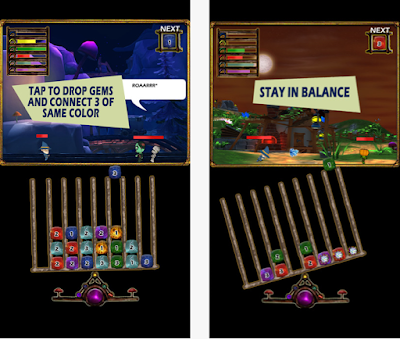 The game offers you two modes of game play, the first one is story mode in which you have to keep the scale balance by managing weights over the scale and help the character to get back her princess who has trapped by an evil. The second mode is score mode in which you have to score as high as possible by keeping the scale for the maximum possible time. The game offers you cool graphics with new concept and the controls for the game are quite easy. The game is presently available for only iOS devices and you can have it free form the link present at the end of this review.